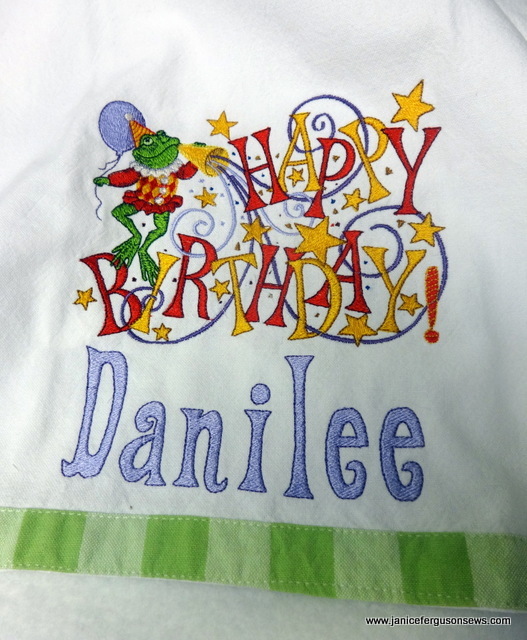 The design is OESD/ Embroidery On-line’s Happy Birthday Frog. My design library includes the Bernina collection Fanciful Frogs. I have used those designs here and again and again. Dishtowels are my go-to “little” gift. They can be personalized with machine embroidery (do you think my sorority sister Danilee ever got one of those bicycle license name plates or wall plaques?) 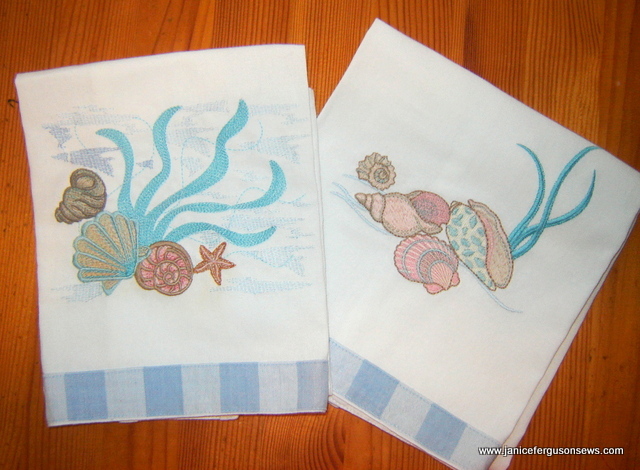 A novelty fabric turn tube hem or hand embroidery embellishment makes a towel special. Yo-yo flowers with button centers, rick rack and a turn tube hem transform a plain white dishtowel to something more interesting. Should I offer this design and project for free? This towel was a project I taught at Sewing at the Beach, Myrtle Beach. Would you like this design to be offered as a freebie? Dishtowels are always the right size, the right price and even if the color is wrong they still dry the dishes. 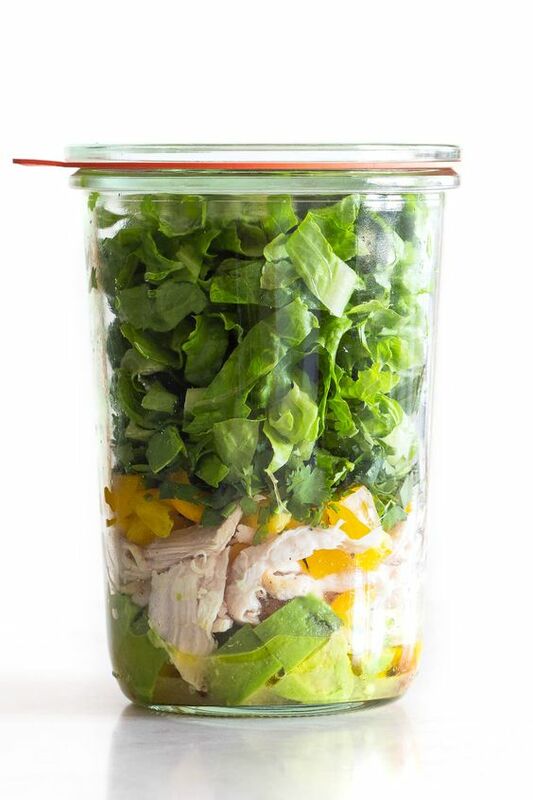 For the hostess of a fabulous family Thanksgiving dinner. The leaf spray is from Autumn Wreaths, Kreations by Kara. I added the pumpkin from some other set. 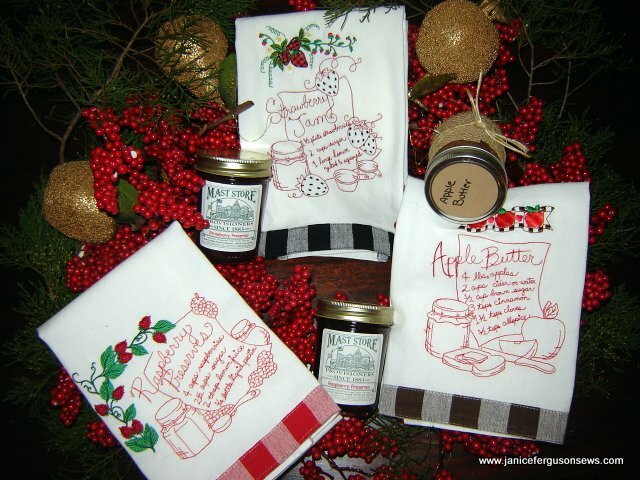 They make a perfect hostess gift. A thank you for the gracious owners of the beach condo my daughter rented. These designs are from Dakota Collectibles Shell Collection. In groups they make a substantial birthday gift. This DOW set was embroidered for my sweet, enthusiastic quilting friend Catherine. This set was done by Tracy Burkart of Needleart Studio. The seem to be unavailable now. 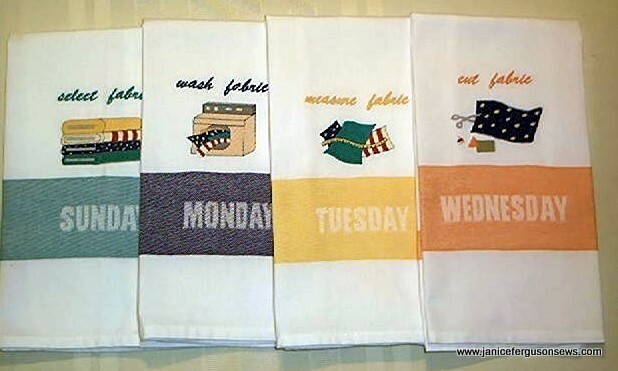 It helps a quilter schedule a perfect week. A recipe towel paired with a jar of jam was just the right size for each of my treasured PGM friends at our Christmas gift exchange. I haven’t canned in years, but these jams from the Mast Store had more down-home appeal than Smuckers. The recipe designs are from Embroidery Library. They come as simple redwork. I added the fruit. The hostess of our Christmas party had just become a grandmother to…you guessed it…little Harry. The design is from Dakota Collectibles Christmas Applique collection. 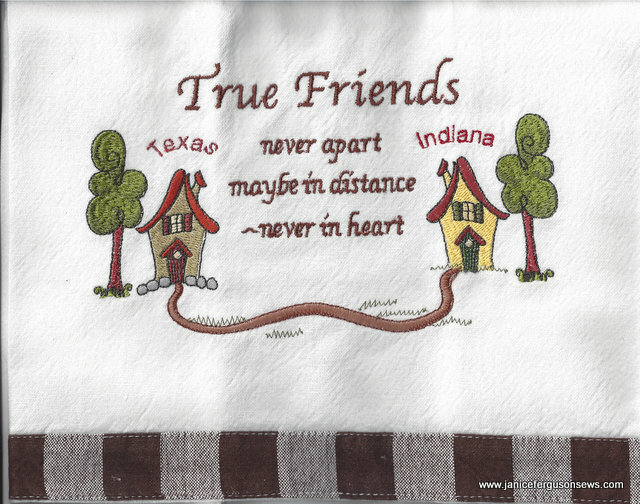 When a very dear but far away friend was experiencing some serious difficulties, these towels offered daily inspiration and a reminder that I cared. 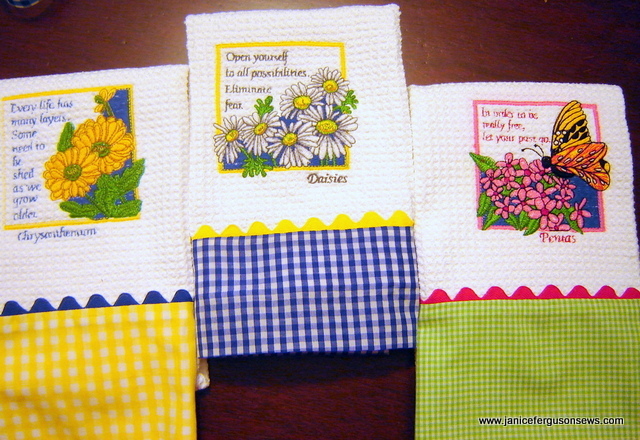 Coordinated with a turn tube hem, the dishtowels were bright and cheerful. Designs are from Amazing Designs Inspirational Concepts. 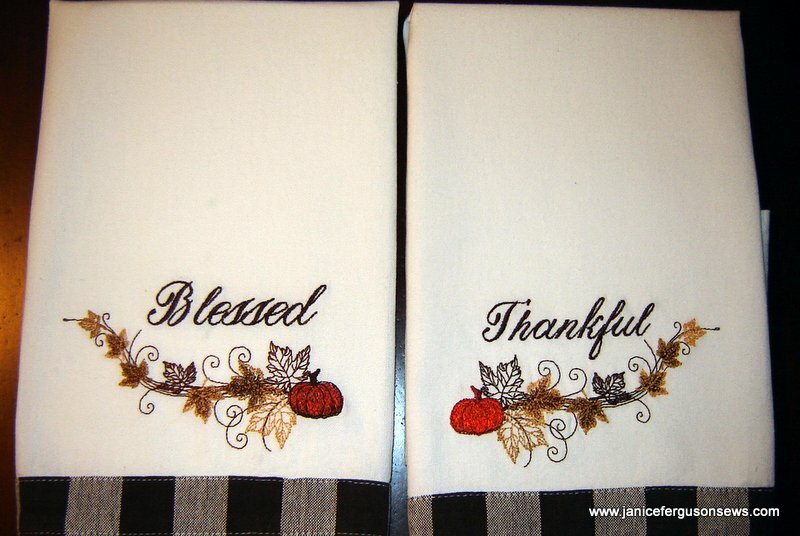 A dishtowel can give a very personal message for little more than the cost of a greeting card. It lasts longer and is useful. 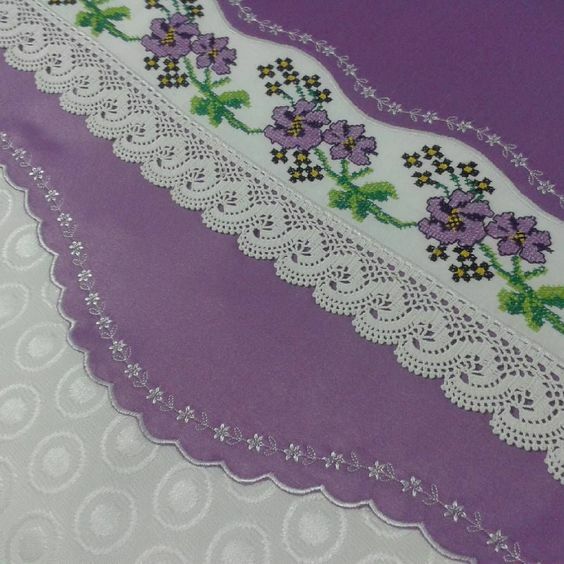 The embroidery is a compilation of elements from various designs. The house, tree, and “road” were combined with text to express a heartfelt message. For another group gift exchange, Christmas dishtowels filled the bill. 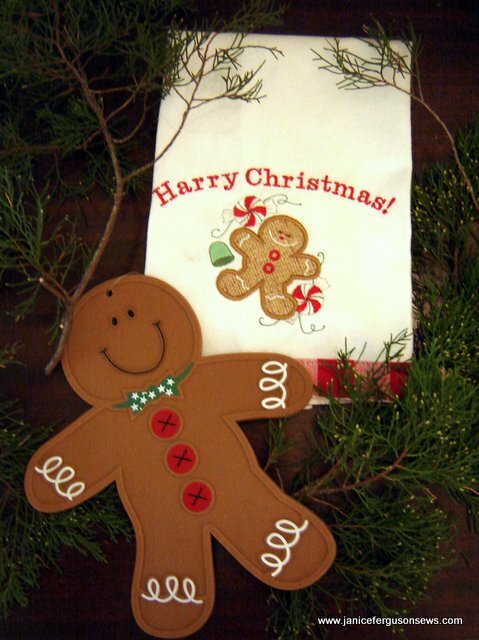 The Christmas tree design is from Kreations by Kara, Christmas in Motion collection. “All is calm, all is bright” is in Amazing Designs Christmas IV collection which seems to be discontinued. 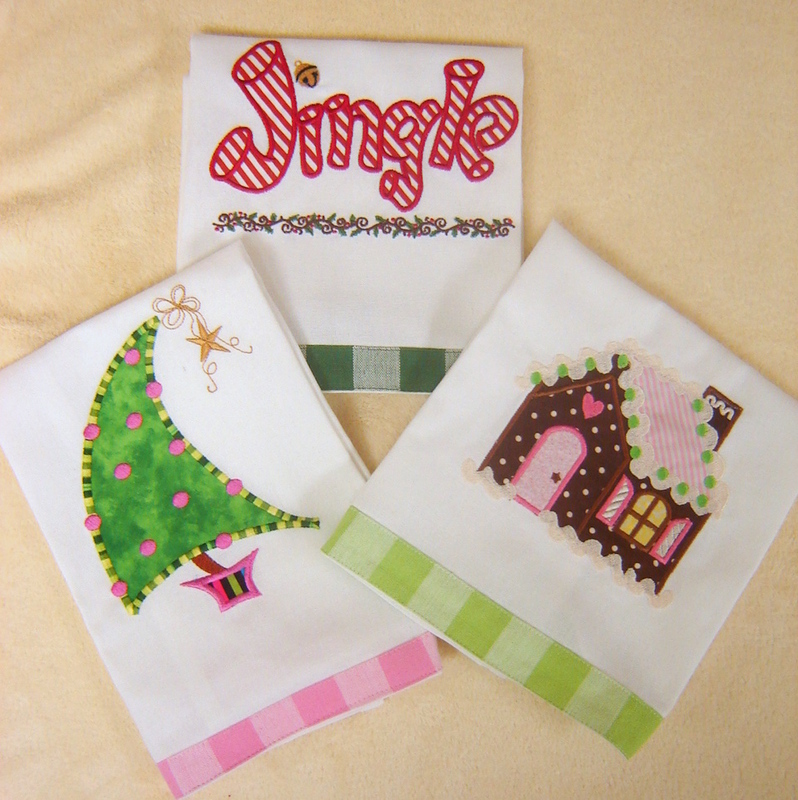 The “Tilted Tree,” “Jingle,” and Gingerbread House are all from Applique Corner. Well, there are more dishtowels, but I seem to have beat this horse to death. 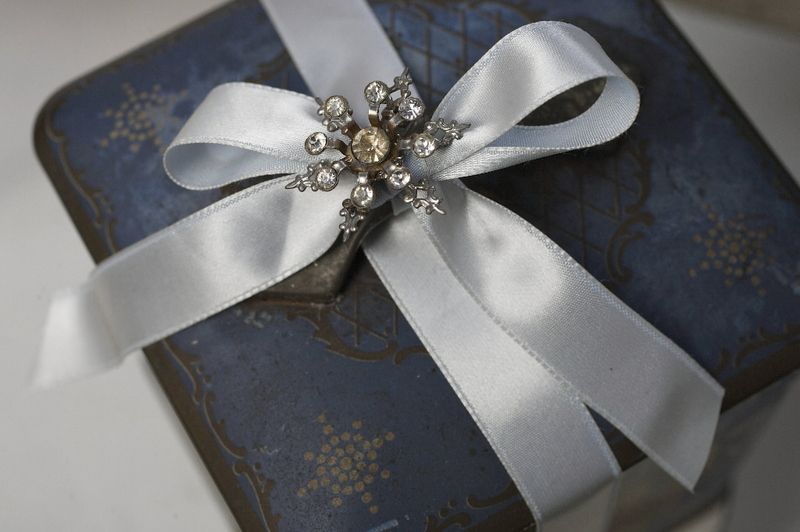 I get all wrapped up in remembering the occasion and the recipients. 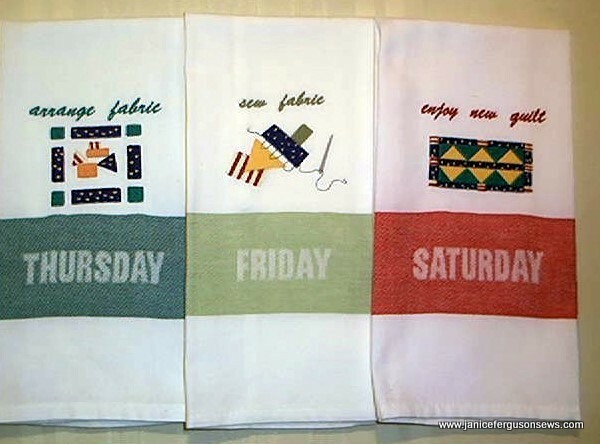 Can you tell I love dishtowel gifts? This entry was posted in home dec, machine embroidery, recipes, turn tube hem and tagged dishtowels, little gifts. Bookmark the permalink. They are all wonderful, Janice! 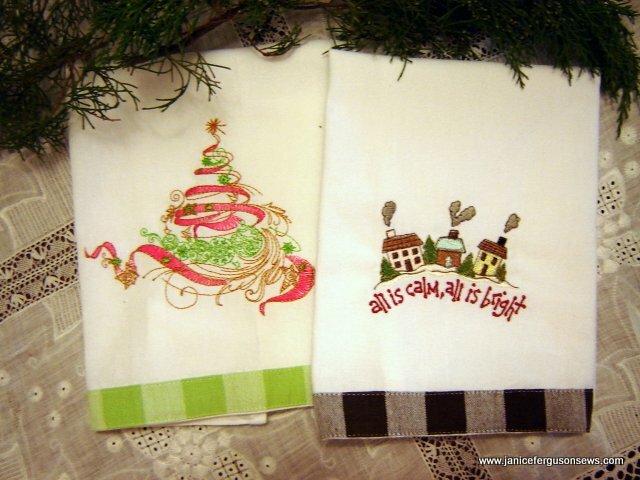 I think dishtowels make great gifts, too. 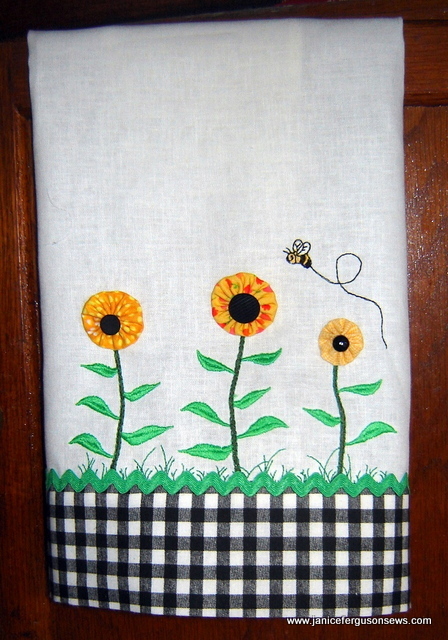 My most recent blog is about the last kitchen set I made my niece and included three dishtowels, one hand embroidered. Have a great day! They are all so nice, but those Christmas trees really took my eye. I also love doing towels for gifts. Karen, how did I miss that whole set of Butterflies and Faeries shower/hope chest posts???? I love them and all the fabulous projects. Your shower ideas are just so creative! I’ve just started a hope chest for 11 yo Laurel. Everyone should read these! When I saw the post title, I thought this was going to be a tirade about dishtowels. Maybe “Dishtowel Rave” would be a more descriptive title? But, I digress… and I completely agree with you about how doing up a beautiful towel can make such a nice gift for any occasion. Not only dishtowels, but little fingertip towels for a powder room too. I did a bunch of them for my son’s bachelor apartment in non-frilly designs and he really likes having them. There are some cool anatomical drawing designs over at urbanthreads.com that I would like to do for his girlfriend. She is a 3rd year med student and just moved from her parent’s home to an apartment with another classmate. 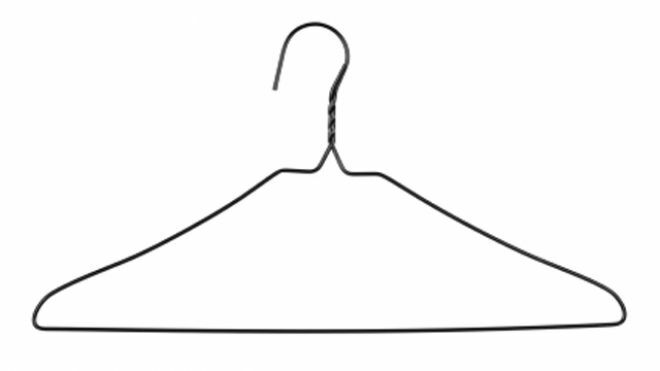 Such a versatile gift all year round. Thank you for the kind words, Janice. I love that you have started a Hope Chest for Laurel. 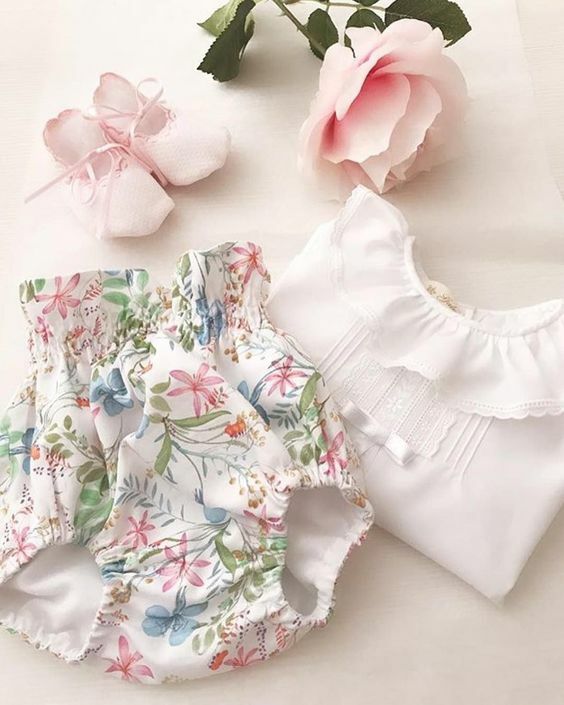 I know she likes sewing so I imagine that you will be having her make things with you. What memories you will be creating! Shirley, there are so many gorgeous Christmas tree designs available. Every year I make a few new ones. One of my favorites that you might like is a Bunnycup design that at the end of this post. 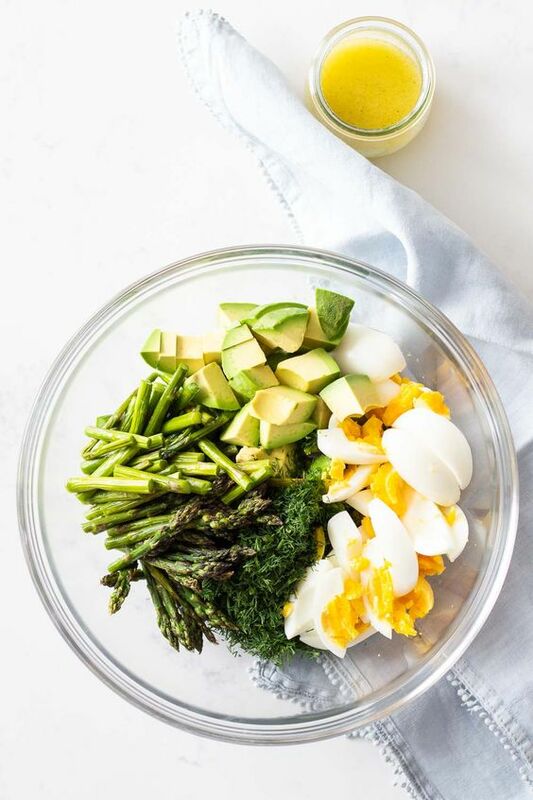 I can’t figure out how to include the picture in this reply. Sandra, thanks for the suggestion! As you can see, I ran with it and now the post is My Dishtowel Rant. I was so pleased to read about the fingertip towels you embroidered for your son. The Urban Threads designs would be perfect for his girlfriend. Every time I see a design and wonder just how it could be used, I hear about someone like you for whom it is the perfect design. I have a bin of fingertip towels I bought when they were more readily available but the stash keeps getting smaller. Like the dishtowels, they are a perfect gift. Thanks for writing, Sandra.